Employment is about so much more than the money we make. Of course, knowing that paycheck is coming every two weeks provides a sense of security, but day to day, we all want to take pride in the work we do contributing to our communities. As part of our mission here at the Flutie Foundation, we work to encourage everyone to reach their goals and live their dreams. With funding from the Flutie Foundation, Triangle, Inc., a leader in providing employment services to people with disabilities in Massachusetts, launched their Autism Career Initiative to offer training and support to both individuals as well as families and professionals in their career development. Triangle’s job club offers a forum for career seekers to find the support and resources they need not only to enter the workforce but to sustain employment with confidence. During job club sessions, participants can role play, discuss obstacles, and brainstorm solutions while further developing their social skills in a small group setting. Parent training sessions amplify the success of the job clubs by teaching families and caregivers how to reinforce the practical skills participants are gaining in career exploration. Completing the “Triangle,” thirdly, the self-advocate will be training Triangle staff on often overlooked challenges faced by autistic job seekers. By simultaneously convening and training individuals, their families, and service providers, Triangle is creating a foundation for success that can be a model for agencies throughout the country. Since implementation of the program in January, Triangle has seen a significant growth in career placements: close to 80% of the individuals participating in Triangle’s career services are employed, 90% of whom hold down their job for over 30 days. In honor of National Disability Employment Awareness Month this October, we congratulate Triangle on their impressive work in the field. Do you know any companies eager to hire hardworking employees? We are proud to consider Triangle a partner in helping families live life to the fullest by promoting adult independence! 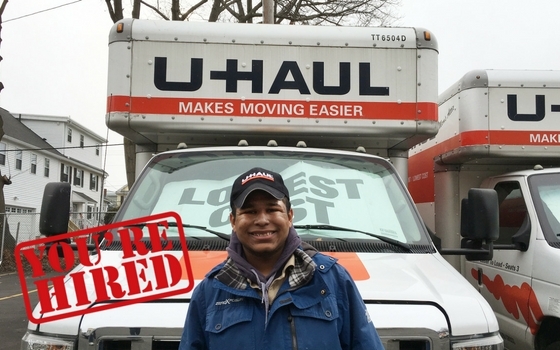 Photo: A particant from a Flutie Foundation funded training session who was hired by UHaul. Flutie 5K Raises Record $105,000! It started as a visit to the museum, when, at the blink of an eye and a turn through the door, we were suddenly immersed inside a submarine trying to unlock doors to find the hidden treasures beneath the sea. Friday, October 13th was Flutie Family Fun Day at 5 Wits in Foxborough, MA. The Flutie Foundation hosted a “Haunted 20,000 Leagues Under The Sea Adventure” with help from our partners at the Arc of Bristol County. Although there were some OOOhhhs and AAAhhhs in the room, there were smiles and laughter throughout the adventure. 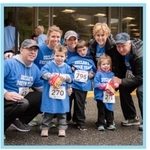 Family Fun Days are an opportunity for the Flutie Foundation to meet up and get to know local families and foster group participation and socialization while enjoying a team activity. Thank you to 5 Wits for helping us make this a sensory-friendly experience for everyone! Shop the Spectrum and Feel Good! The Doug Flutie, Jr. Foundation for Autism, Inc. © 2019 All rights reserved.